We've fallen to 37th place from fourth on a ranking of hottest housing markets. A "for sale" sign is pictured in the front yard of a house in Toronto, July 17, 2018. Canada is no longer among the countries with the world's hottest residential real estate, new data from Knight Frank shows. For better or worse, 2018 seems to have marked a turning point in Canada's closely-watched housing market, and here's one effect of that: We can no longer count ourselves among the countries with the world's hottest residential real estate. That might be good news for the many Toronto and Vancouver residents who are hoping for house prices to drop, but it's bad news for those who've come to count on steady house price growth to boost their wealth (or their ability to borrow more money). Canada tumbled to 37th place in the latest global ranking of housing markets from commercial real estate firm Knight Frank, from fourth place in the same survey a year earlier. That places us firmly in the bottom half of 57 countries surveyed. With average price growth falling to 2.9 per cent in the latest survey, from 14.2 per cent a year ago, Canada actually fell behind the U.S. on price growth — a rare occurrence since the U.S.'s housing bubble burst a decade ago. Worldwide, housing markets are improving, the report said, though it noted that many previously hot markets — such as Australia, New Zealand and mainland China — have slowed down. "The rising cost of finance, an uncertain political and economic climate and currency instability in some markets is likely to be tempering demand," the report noted. That certainly seems to be the case in Canada, where rising mortgage rates and tougher new mortgage rules have reduced the maximum buying price that homebuyers can afford. 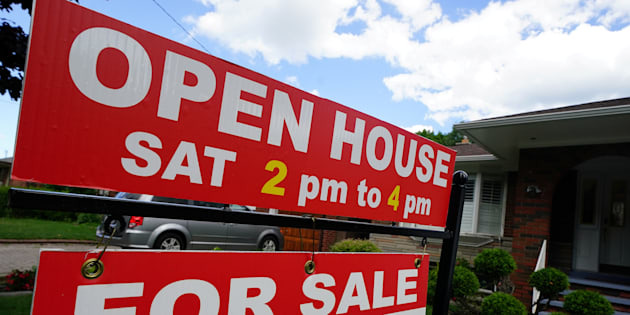 The latest data from the Teranet/National Bank house price index, released Wednesday, showed prices in Canada rising at their slowest pace since the country was dragging itself out of last decade's financial crisis. The index rose 0.2 per cent in August for the 11 metro areas covered, and it's up 1.4 per cent over the past year, the slowest growth since 2009. "This is mostly a reflection of Toronto and Vancouver, the two most important real estate markets in Canada," National Bank economist Marc Pinsonneault wrote in a client note. Toronto house prices grew 0.3 per cent in August, but Pinsonneault says this reflects the usual rise in prices seen in spring and summer months. Strip out the seasonality, and Toronto house prices have been falling for five months, he said. Vancouver's house price index fell 0.4 per cent in the month, though the index is still up 7.6 per cent from a year ago. But the momentum is gone: Adjusted for seasonality, Vancouver prices have fallen for the past three months, Pinsonneault said. "That being said, there are areas displaying underlying strength, such as Montreal and Ottawa-Gatineau, whose indices recorded a string of unusually large increases over the past few months." Indeed, it appears both Montreal and Ottawa are seeing price acceleration since the spring. Here's where house prices have risen and fallen over the past year. Note that Toronto has had the fastest-falling house prices among the 11 cities surveyed over the past year.